On Thursday, an ICTY Appeals Chamber released a decision rejecting the specific-direction requirement for aiding and abetting, which until last week was binding precedent at the tribunal. No more. This jurisprudential controversy might be the most heated to have hit the tribunal during its entire tenure. Judges are lining up on each side of the issue. And one judge (Harhoff) wrote an email to his colleagues last year expressing displeasure with the specific direction standard, resulting in his ultimate disqualification on account of his alleged bias against the defendant. The specific-direction standard applies in aiding and abetting cases where the defendants are remote officials rendering assistance to groups or organizations engaged in a mix of lawful and unlawful activities. In February 2013, a different Appeals Chamber in Perišić quashed the defendant’s conviction, arguing that the defendant did not specifically direct his assistance to the illegal activities of the organization. Perišić was a military official with the Yugoslav army, charged with aiding and abetting for assistance provided to Bosnia Serbs forces who committed atrocities in Bosnia and Croatia. According to the Appeals Chamber, Perišić could not be convicted of aiding and abetting because there was insufficient proof that Perišić specifically channeled his assistance to the illegal activities of the Bosnian Serb militias. Instead, he provided general assistance to the groups – assistance that he claimed he had every right to do because he was simply supporting their war effort. 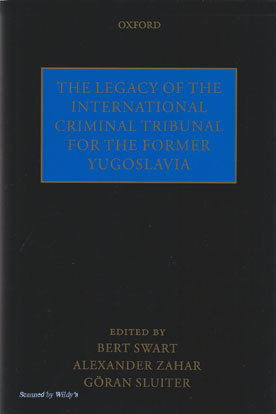 In Stanišić and Simatović, an ICTY Trial Chamber followed the Perišić precedent and acquitted two Serbian intelligence officials on largely the same theory, arguing that there was insufficient proof that the defendants had specifically directed their assistance to the illegal activities of the group, as opposed to their lawful war effort. Now, this entire line of precedent is called into question with the recent decision last week in Šainović et al., which explicitly declined to follow the Perišić line of cases and therefore concluded that the specific direction standard was flat-out wrong. The court noted that the Special Court for Sierra Leone rejected the specific direction requirement in its Charles Taylor Judgement. It also noted (correctly in my view), that the specific direction requirement could not be based on the Tadić judgment (one of the first trials at the ICTY). First, Tadić was convicted of JCE, not aiding and abetting, so the ICTY’s discussion of aiding and abetting in Tadić was mere dicta. More importantly (and this is myself speaking now), the Tadić judgment cited no legal authority for the proposition that aiding and abetting requires specific direction. And finally, it seems just as plausible to me that the stray reference to “specific direction” in Tadić was actually a reference to a heightened mens rea requirement for aiding and abetting. 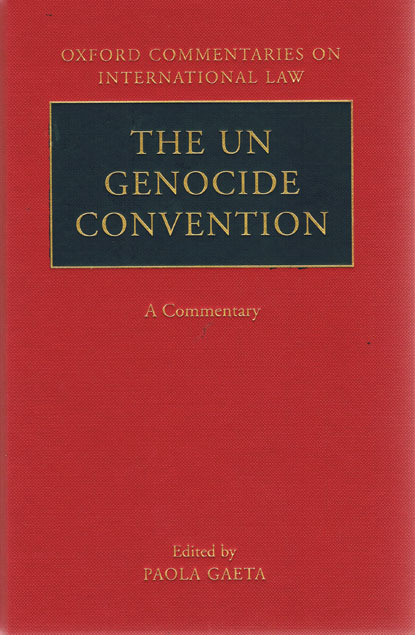 This sets up a situation where the case law of the ICTY is fragmented and uncertain. One Appeals Chamber in Perišić holds that the specific direction is required, while a different Appeals Chamber in Šainović holds that specific direction is not required. And there is no procedural mechanism for en banc review of all judges on the ICTY Appeals Chamber. It would seem that future cases dealing with specific direction will hinge entirely on which Appeals Chamber judges are selected to sit on the case. That’s much too contingent for my taste. What’s the solution to the problem? Should the judges at the ICTY continue their specific-direction smackdown, dueling back and forth with each new case that presents the issue? I don’t like that result either. All of this points to a fundamental procedural defect of the ICTY: the inability to seek en banc review of the entire Appeals Chamber. 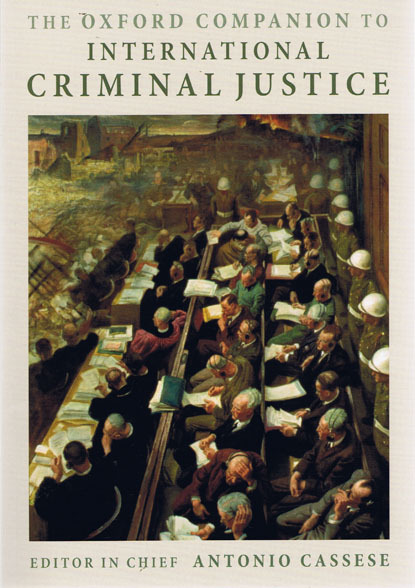 In fact, I’m surprised this situation has not arisen more often during the history of the ICTY. 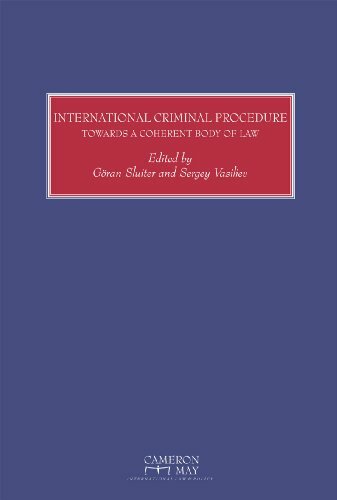 In the past, some scholars have argued that there needs to be a super-appellate body in international criminal law with jurisdiction to hear appeals from multiple tribunals to resolve conflicting holdings on matters of law. I think that is unnecessary, and the fix with regard to specific direction is far more modest. Everything would be solved if there was simply a provision to allow en banc review of an Appeals Chamber judgment on matters of specific questions of law. The full Appeals Chamber could then hold a hearing on that question, seek additional briefing, and issue an en banc judgment. Every judge on the Appeals Chamber should get one vote to decide the fate of specific direction. Without that procedural mechanism, we are left with the current state of affairs: radical uncertainty regarding the proper scope of aiding and abetting under customary international law. Jens, given that no court has yet willingly adopted the "specific direction" standard since it was first announced, whereas two appeals benches have firmly rejected it, why do you think the law is currently in a state of radical uncertainty? Also, have you had a chance to read the analysis in Taylor and Sainovic yet? Hope you will post your views on them at some point. need!b Keep ‘em coming… you all do such a great job at such Concepts… can’t tell you how much I, for one appreciate all you do! Thanks for information Export Packers and Movers services India provider best price save time with moving & packing services. Thanks for sharing this blog its very informative and useful for us . We are number 1 in article spinning services. You can hire us for manual spinning, automated spinning and article rewriting. We use all kinds of top spinners. Great article. Keep it up.You are not the general blog writer. Such a fantastic post and this article give me great information and also tell me how to solve difficult study issues with easy way thanks for share it apa case study format . Chartered Accountants Auditing Homework Help, Chartered Accountants Auditing Assignment Help & Project Help AB & Co. Chartered Accountants Karachi. May 31, 20x7. Audit procedures to verify report include 1. 3D Rendering in AutoCAD AutoCad Assignment Help, Online AutoCad Homework & Autocad Project Help Just a few years ago it took the power of a workstation to create the kind of images you will create in this chapter. Case Study Analysis Case Study Help, Case Study Solution & Analysis & A case study evaluation needs one to address the company’s issue, analyze the alternate options, and propose the best answer using supporting evidence. SPSS Stats Homework, assignment and Project Help, SPSS Statistics Assignment help It is a statistical software that is used in the discipline of statistics in order to evaluate the data or statistics. Wow!! Nice blog, this will be greatly helpful. Highly Recommended dosage is to take 2 capsules every morning. Finding the best male enhancement product might not be that easy, which only means that you should know the correct criteria to identify the one for you. Earn to Die 2 is a mobile game developed by Toffee Games. It is available on the App Store, Google Play and the Amazon Appstore Earn to Die | Earn to Die 3. Science Kombat | Science Kombat Game. I read your Intersting and awesome blog. I really like this blog. thanks for sharing your great information with us. Excellent material with amazing blog. containing all information and also has a great impact on the new technology. Finding the condos is not a major issue with such a variety of places of various assortments to look over. Individuals can discover through appropriate means, various houses to remain with the most current of offices. we provide the international tour packages. Here you will find the most potent products on the market you can buy without side effects or a prescription. Each Marine Muscle legal alternative to steroids is specially formulated with high-doses of cutting-edge ingredients for extreme results. After getting their services you will like to frame their as the best sexual partner of your life It is not possible to count the number of people who are visiting this beautiful city for different purposes and they get the ultimate experience from different forms of entertainment available here. I really like the dear information you offer in your articles. I’m able to bookmark your site and show the kids check out up here generally. I am fairly positive there likely to be informed a great deal of new stuff here than anyone. Don't worry about them. Since they are going to be busy to clean the room in short time period do not have time to watch you and allotted. Words Doctorate is providing PhD Thesis Writing Services, Dissertation Writing Services & Research Paper Writing Services for PhD Students-all stream. Doubles periods and couples have already been among a few of my favorite encounters. I cater to your large number of fetishes and kinks. Just ask! I will make them possible when you trust in me. What Are The Benefits Of Using V-Tight Gel? v tight gel is an all natural formula that has so many benefits both you and your partner can enjoy. من المعروف أن مهام نقل العفش ليست من المهام السهلة التي يستطيع الشخص القيام بها بنفسه، ولكن يحتاج الكثير من الأشخاص الانتقال من وقت لآخر لتغير محل السكن أو لأي أسباب أخرى، كما أنك من الضروري أن تقوم بتغليف قطع الأثاث بطرق جيدة لكي تحمي من أن يتعرض للخدش أو الكسر. ونحن ننصحك اليوم بالتعامل مع أفضل شركة نقل عفش بالمدينة المنورة التي تحسن اختيار أجود أنواع المواد الخاصة بالتغليف التي تحمي قطع الأثاث بشكل جيد، فضلاً عن أسطول متكامل من سيارات المختلفة من حيث الحجم لكي تناسب كافة أنواع قطع الأثاث والوصول بـأمان للمكان الجديد. Packers and Movers Bangalore as a Services providing company can make all the difference to your ###Home Relocation experience. Bangalore based Company which offers versatile solutions, Right team that easily reduce the stress associated with a ✔✔✔Household Shifting, ***Vehicle Transportation. we help things run smoothly and reduce breakages and offer you seamless, Affordable, Reliable Shifting Services, Compare Shifting Charges . What is the Lieber Code? The Lieber Code was the first codification of the international laws of war. Commissioned by President Lincoln during the Civil War, the Lieber Code was formally known as General Order No. 100 and was published as a pamphlet that could be carried by Union soldiers during battle. The Code was written by Columbia University Professor Francis Lieber, who was heavily influenced by, among other sources, the philosophy of Immanuel Kant. Though published in 1863, the Lieber Code is still cited today by legal scholars, courts, and international tribunals. Copyright Jens David Ohlin. Powered by Blogger.